"Dean's presence on television after 1975 would be represented by The Dean Martin Celebrity Roast. It was a dais of despair. They sat at banquet tables at either side of the podium: the undead of dreamland and the fleeting stars of the television seasons, each rising in turn, at the beckoning of Dean or his bloated sidekick, Orson Welles, to deliver the moribund jokes consigned to him for the occasion. 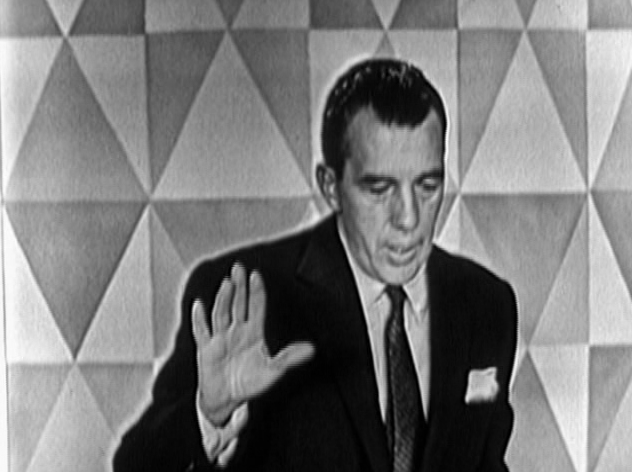 Taped in part at the NBC Studio in Burbank and partly at the Ziegfeld Room of the MGM Grand in Vegas, guests often delivered their lines to empty chairs or pretended spontaneous laughter at words that had been uttered in another state. As many as a thousand cut-and-paste edits were done to give each show the illusion that everyone was together in the same place at the same time. But no amount of editing could vanquish the pervasive air of hollow artificiality that came through. 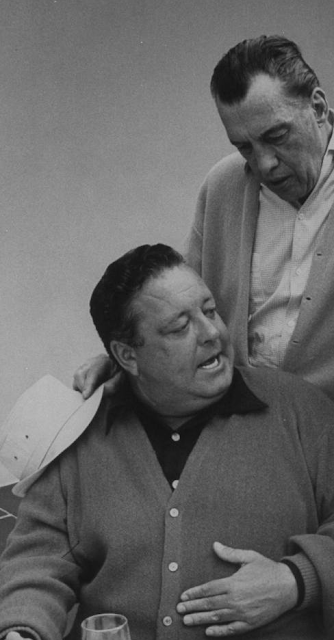 The forced attempts at humor came from a ten-writer assembly line; only Jonathan Winters and Don Rickles were ever allowed to write their own material. 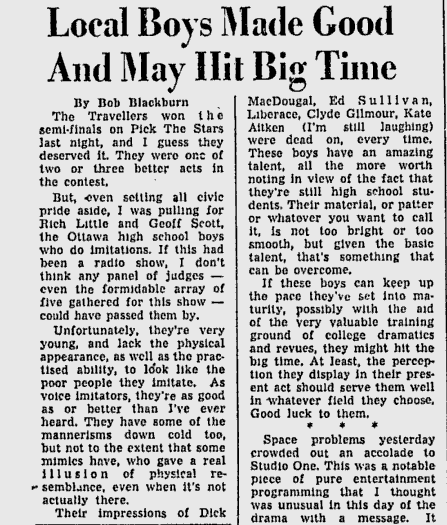 The jokes were so bad and the canned laughter so false, and that pervading hollow artificiality so funereal, that the shows had the quality of a relentlessly monotonous but vaguely disquieting dream. 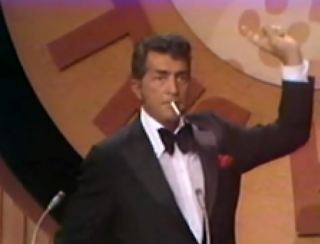 There were those that found The Dean Martin Celebrity Roast entertaining. There were those who lived canned lives, who found release through canned laughter. "Time cries and lets you care," the commercial said. Canned sadness, canned happiness: a wasteland full of empty cans. And there slouched Dean boozily at the dais - perhaps alone among the empty chairs, perhaps with the ghosts of others nearby - laughing forlornly at God only knew what." Kliph Nesteroff: I was just watching an episode of Love on a Rooftop. Rich Little: Oh, yeah? Where did you see that? Kliph Nesteroff: On the internet. 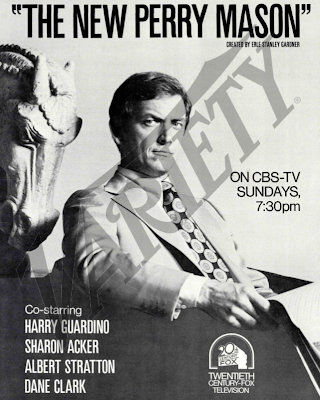 Kliph Nesteroff: It's a better show than I remember. 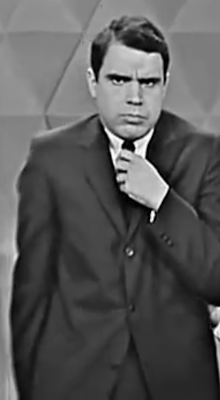 Rich Little: Hmm. Hmm. Yeah. Well, I haven't got any of those. Kliph Nesteroff: I read that you appeared in a documentary at the age of eleven for Crawley Films. Rich Little: Yes, I did. It was an educational film called Map and Compass - all about how to use a compass in the woods. I played a little kid and my father was showing me how to use the compass and we wandered around the woods. There were scenes of me not looking where I was going and falling off the dock. A little corny. Kliph Nesteroff: How did you become involved in that project? 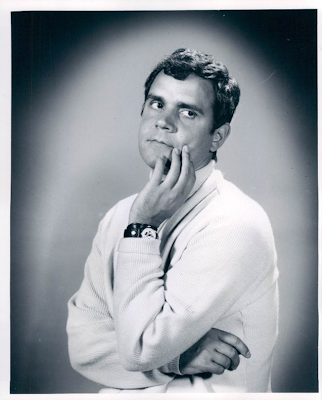 Rich Little: I don't know. 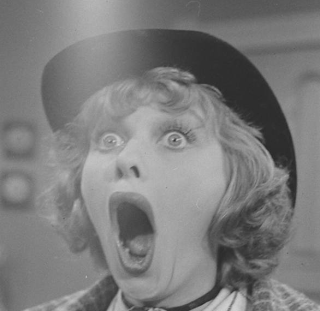 I think Budge Crawley's wife saw me in something or other. They contacted me and asked if I wanted to do it. I was about ten years old. 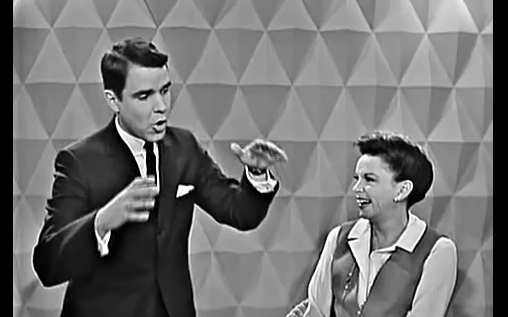 Rich Little: Yes, that was later on. 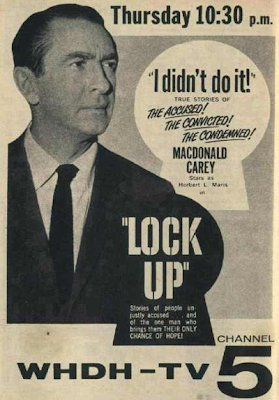 Kliph Nesteroff: And you were an announcer at CFRA. Rich Little: Yes, I worked for both stations as a disc jockey. Kliph Nesteroff: And appeared on Gord Atkinson's radio program Teen Show with your comedy partner Geoff Scott. Who was Geoff Scott and how did you form a comedy team with him? 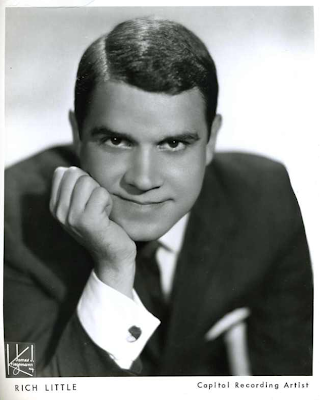 Rich Little: Yes, Geoff was born next door to me on Argyle Avenue [in Ottawa] and so we were babies together. Our parents were very close and we grew up together. We shared a lot of interests. Mostly drawing. We used to draw cartoon characters and stuff like that and we did impressions together later on. We just formed a comedy team playing little local things. Usually for no money, but we did a few voices. He went into politics. Kliph Nesteroff: You went on to do impressions of politicians while he became a Parliament Hill correspondent. Rich Little: That's it. Yes, he did. Kliph Nesteroff: One newspaper from the late fifties says, "Rich Little and Geoff Scott performed at the Springtime Party at the Coliseum put on by the Women's Committee of the Ottawa Philharmonic with vaudeville star Jackie Rae and Frank Peppiatt." Rich Little: Hmm, yeah. What city was that? Toronto? 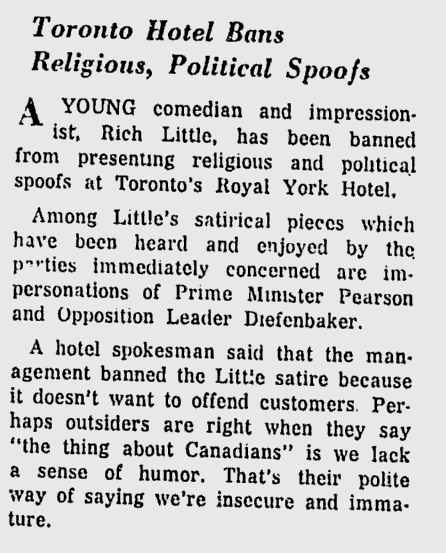 Rich Little: Ottawa? Really? Wow. Hmmm. 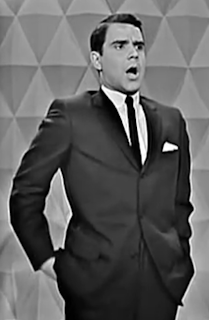 Rich Little: Oh, yes. 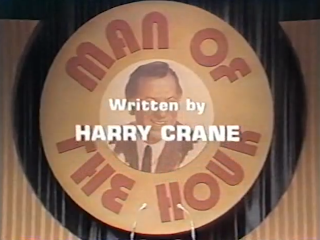 Frank Peppiatt and John Aylesworth were comedy writers for television that played a big part in my career. A big part. They wrote me a nightclub act and got me on a lot of shows in Toronto. Variety shows. And they eventually got me on The Jimmy Dean Show in New York and The Judy Garland Show in Hollywood, and Kopycats and The Julie Andrews Hour. Kliph Nesteroff: They were already working in the States. 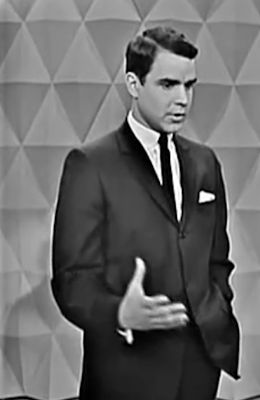 Rich Little: Yes, they came down and started writing for Perry Como and specials for Bing Crosby. Some of the top shows. 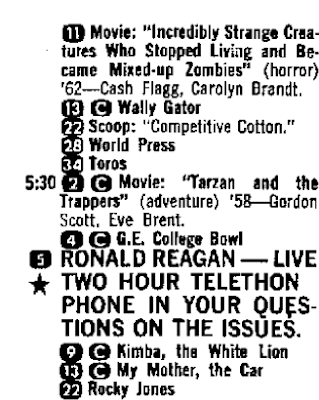 Kliph Nesteroff: How about some of the Canadian shows that you appeared on initially. 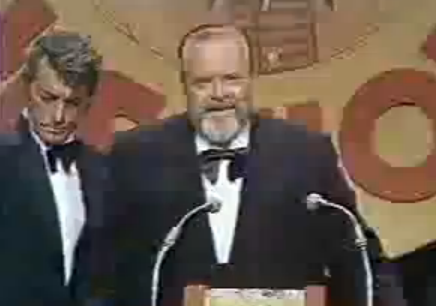 You and Geoff Scott won a talent show called Pick the Stars. Rich Little: Mmm hmm. Right. 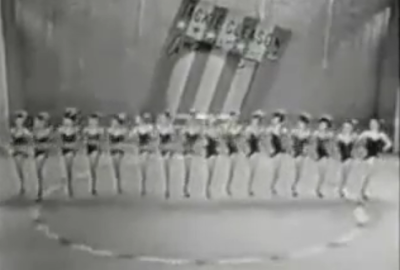 It was a weekly show. A little like American Idol, actually. 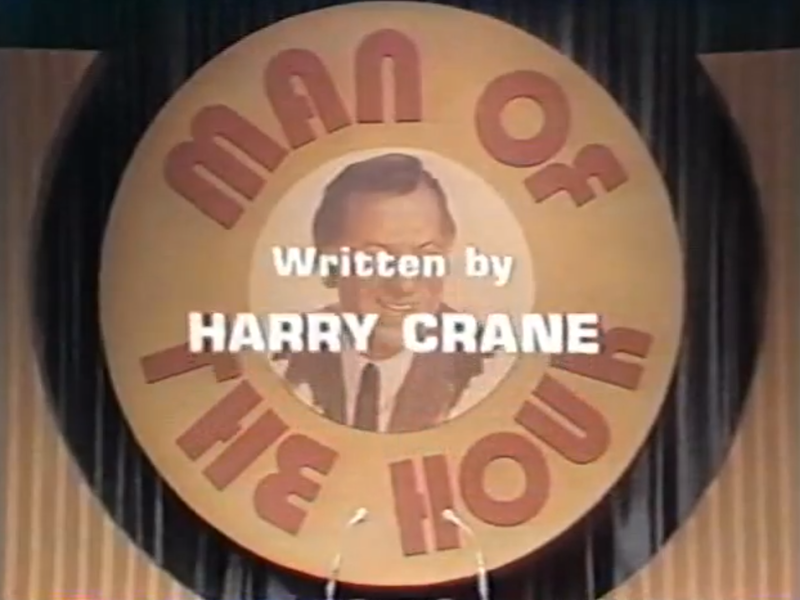 The audience voted on who was the best act of the show. We were just teenagers. We won and then they brought us back for another episode - the finals. I think we lost at the finals, but that started our career. Kliph Nesteroff: What did your act consist of? Were you both doing impressions? Rich Little: Yes. We were both doing impressions. No, straight man. 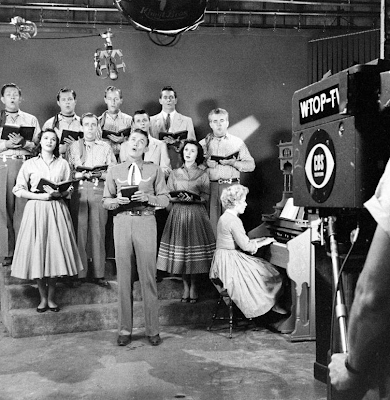 I've got a couple of those shows too - of people sitting in lawn chairs and we were doing take-offs on Ed Sullivan and some of the local TV people. Mostly personalities from Canadian television. Kliph Nesteroff: You hosted your own show on Canadian television - CBOT called Falderal? 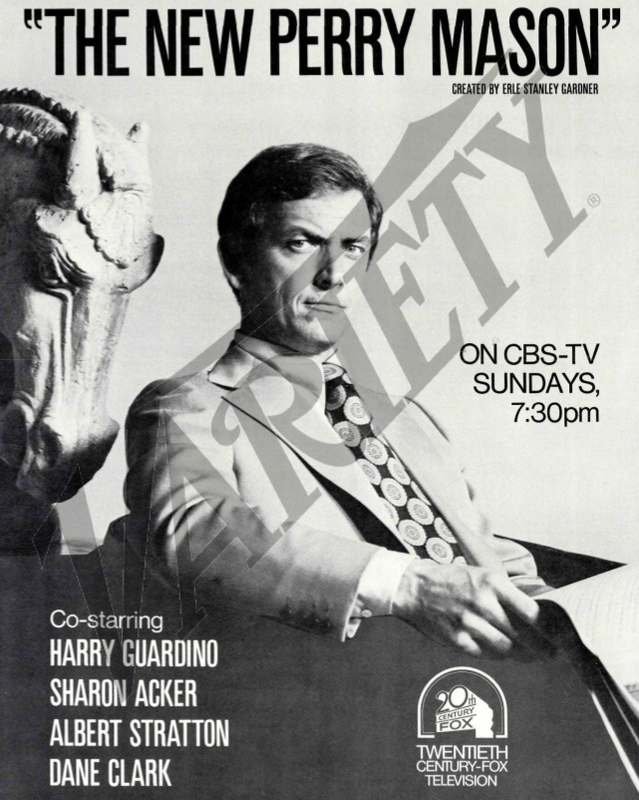 Kliph Nesteroff: What was that show all about? Rich Little: Oh my God, you do some research. Yes, that was kind of a talk show. I had a folk singer on there and it was very lightweight stuff. It was just bringing on local entertainers and I don't know what the heck I did on it. I don't think I interviewed but... I might have. It was just a little fifteen minute show with a couple of local people. It wasn't national. 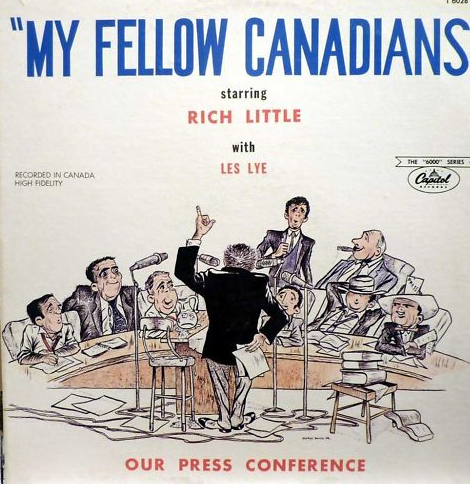 Rich Little: I was doing the all-night show at Radio CFRA as a disc jockey and I did a lot of voices. 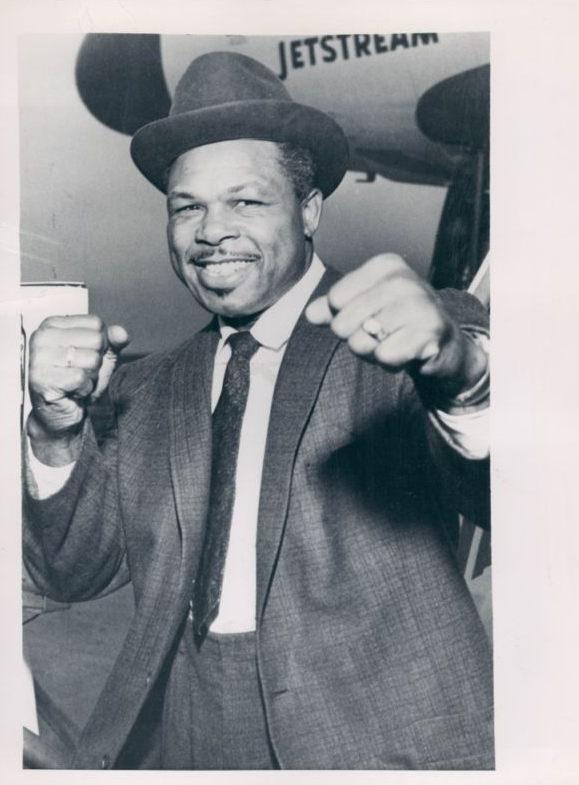 I became friends with Les Lye who had a show there. I was doing a little theater work at the time, which I did a lot of. Acting. We just decided to do a spoof on the Prime Minister of the time, John Diefenbaker. What inspired that was Vaughn Meader, who had done a comedy LP on [President] Kennedy called The First Family; a big, big hit. We thought, "Well, why don't we do one on John Diefenbaker, the Prime Minister of Canada and do the same kind of thing?" 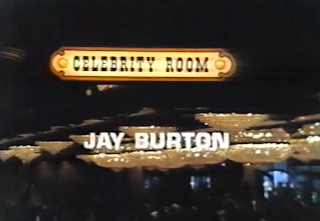 So we got together, wrote the script, and went down to the lunch room of The Butler Hotel. We got a tape recorder and taped it. I think we even had an audience, but they put a laughtrack in later. Then we took the finished project to Capitol Records and - they put it out! They thought it would be a great idea because the Kennedy one did so well. We put it out and it wasn't too bad. It did very well. Big seller. Kliph Nesteroff: The success of that led to you getting booked at all kinds of political gigs, right? 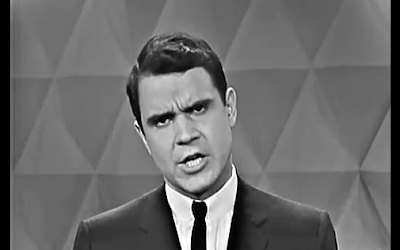 Rich Little: Yeah. I did another album after that for Capitol called Scrooge and the Stars. It was the first time I did The Christmas Carol. I put bedsheets on the walls of my room for the sound and edited it together with Scotch tape (laughs). Then I had to quickly get it dubbed before the Scotch tape started running - and they put that out too! Kliph Nesteroff: On one episode you were supposed to appear with Les Lye, but you two were canceled because the CBC felt it was "inappropriate to show an episode with them during an election campaign." 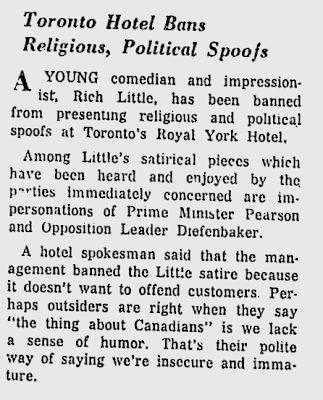 Kliph Nesteroff: And then a 1964 newspaper report says that you were "banned from presenting religious and political spoofs at Toronto's Royal York Hotel." 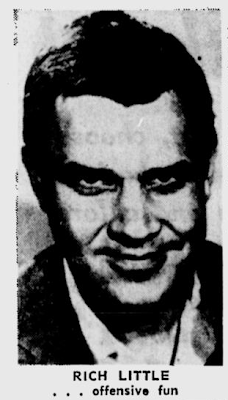 Kliph Nesteroff: A ten day engagement, in which they told you not to do your impressions of John Diefenbaker or Lester B. Pearson. 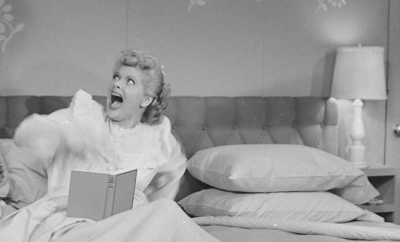 Kliph Nesteroff: You don't remember any of these controversies? Rich Little: No. Not at the Royal York. I remember I got into a lot of trouble at the Copacabana later, but I didn't know... this was the Royal York in Toronto? 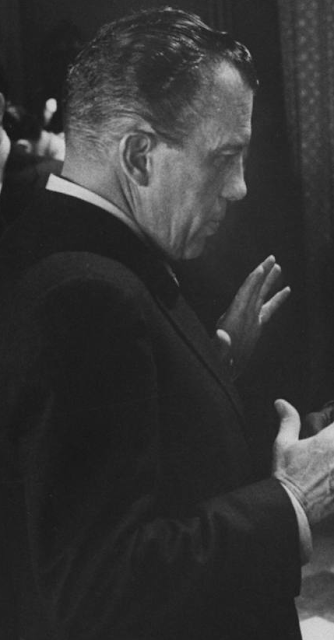 Kliph Nesteroff: You apparently had a long afternoon negotiation with them, pleading that you be allowed to do Pearson and Diefenbaker in your act. They said no. 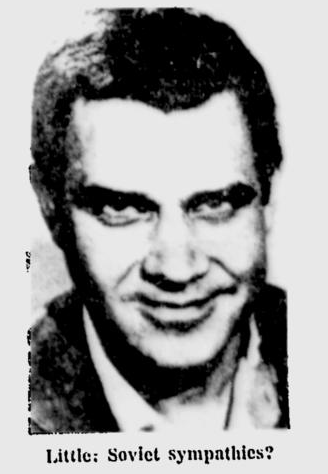 Rich Little: My God. I'll be darned. Well, no, I don't remember that at all. I didn't think they ever restricted me on anything. But I guess they did! Kliph Nesteroff: At what point did you and Geoff Scott choose to part ways? 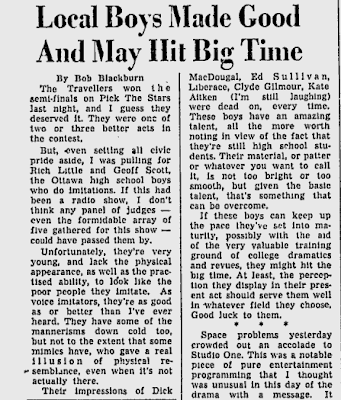 Rich Little: We decided to part ways when... well, I remember we auditioned for Ed Sullivan at the Toronto [Canadian National] Exhibition. We barged into his dressing room and did a little routine. He put on a big smile and told us to come back in ten years after we'd got some experience. It was kind of the brush off and the headline read Sullivan Tells Ottawa Comedy Team: Come Back In Ten Years. It was like a compliment, but it wasn't. It was the brush off. The interesting thing was I did come back in ten years. 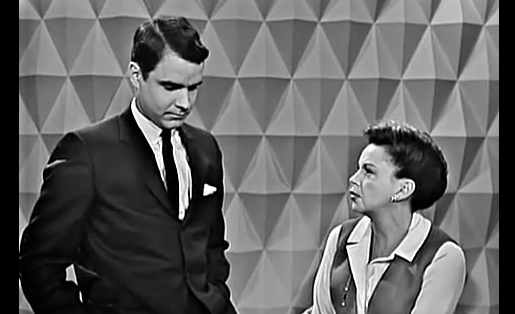 Rich Little: But we broke up when we were eighteen or twenty years old. He always just thought of it as a hobby, whereas I wanted to pursue it. 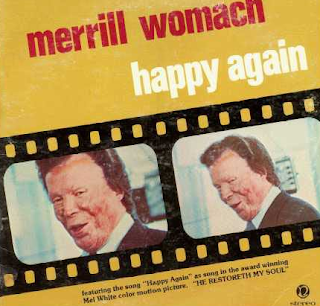 Kliph Nesteroff: You appeared on a CBC special with Mel Torme. 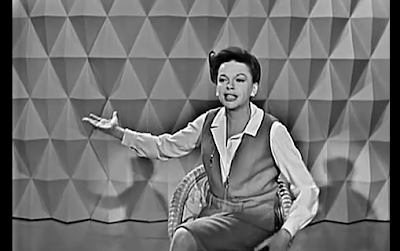 I had read that Mel Torme helped you get on The Judy Garland Show. 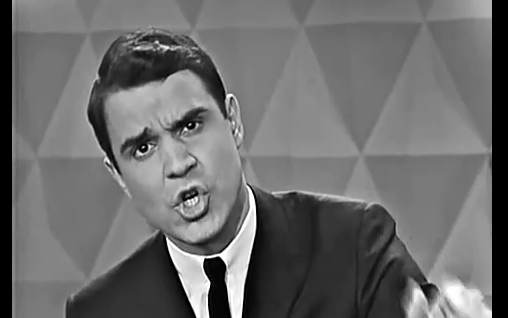 Rich Little: Yes, he did and so did Peppiatt and Aylesworth. The three of them. 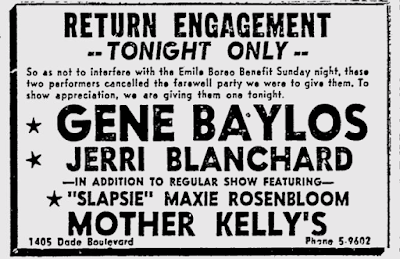 Peppiatt and Aylesworth were writing for her and Mel Torme and I had done a show in Toronto called Parade. We became great friends. I had put all of my voices on tape. He went from that to The Judy Garland Show to write special musical material for Judy. He sat down and played for her the tape I had done of all my voices. She wasn't impressed. In fact, she was quite crude. She said, "I don't want any impersonators on my show! Frankly, impersonators make me fart!" That's what she said! Which is something I've never really told anyone. But then she heard me do James Mason after saying that rude comment. She said, "Turn that up! Why, that's James Mason!" Mel said, "Yeah, that's one of his best." She said, "I love James Mason! I did A Star is Born with him! We're close. Why, that's unbelievable. She said, "Play that again!" So he played it again. She said, "That is dead on. Book him on the show." So I got that gig because of my James Mason. 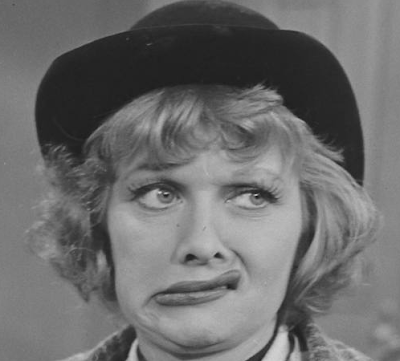 I guess James Mason didn't make her fart. A few years later I met James Mason at an AFI tribute to John Huston. I went to most of those. I was standing in the lobby and James Mason walked by. I said, "Mr. Mason? 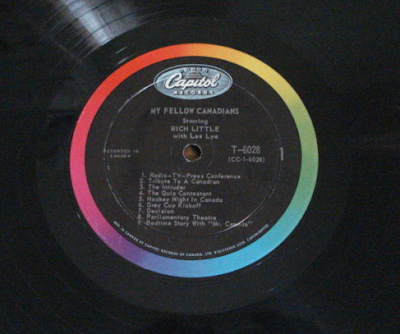 Rich Little. I do an impression of you." He said (in James Mason voice), "What on earth for?" and walked away. Kliph Nesteroff: What do you recall about that first Judy Garland experience? 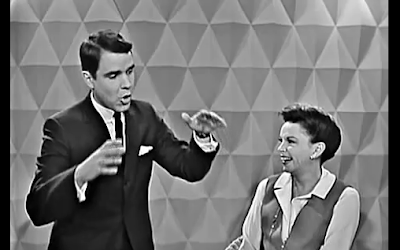 Rich Little: Oh, that was fabulous! That was just fabulous. A young kid from Canada going on one of the biggest variety shows in the US! I remember rehearsing every day and Judy never being there. So, when I did my spot on the show, that was the first time she saw me do my routine. I did the Man That Got Away. I just talk - sang it. What made the spot great were her reactions. It was the first time she really saw me do my routine and that's what made it look good. That started it for me. 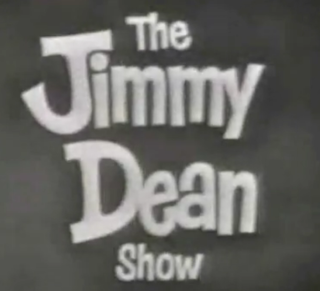 I had already done The Jimmy Dean Show, which was an unmemorable experience. Don't remember anything about it at all except that Aylesworth didn't like him and they quit. Kliph Nesteroff: Why didn't they like him? Rich Little: They found him difficult to write for. He was always complaining. They said it wasn't a happy experience and then they got the offer to do the Garland show and they jumped at it. Kliph Nesteroff: Did they find working for Garland easy despite the fact she was going through all kinds of personal problems? 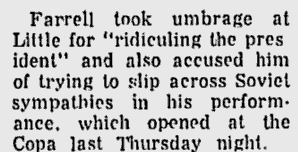 Rich Little: Oh, yes, I'm sure it was tough for them doing that too. I don't think they had that much contact with her. I think they just wrote the material and then she'd just look at it. I think Jimmy Dean would get in their faces and would start yelling and screaming. I don't think Judy was too involved with them. Kliph Nesteroff: You were then on a summer replacement called On Broadway Tonite hosted by Rudy Vallee. 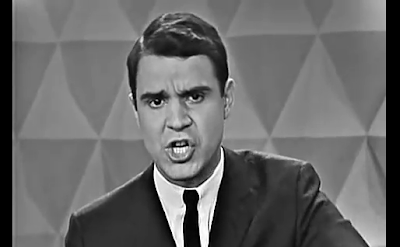 Rich Little: Right. Don't remember much. Didn't have much contact with him at all. 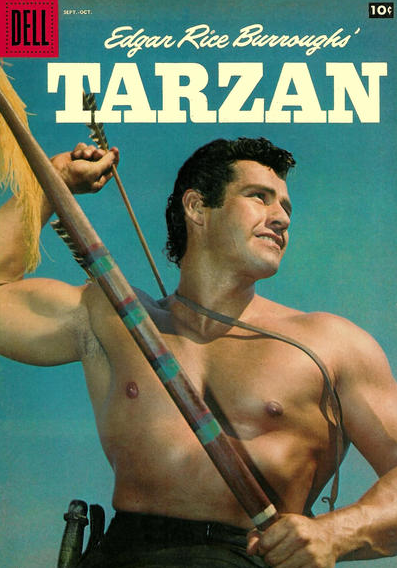 They said he was the stingiest man in Hollywood. But don't remember much about that. I think I was just a guest and did a four or five minute routine. 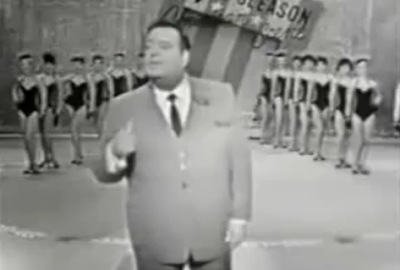 Kliph Nesteroff: Soon after you had your first appearance on The Jackie Gleason Show. 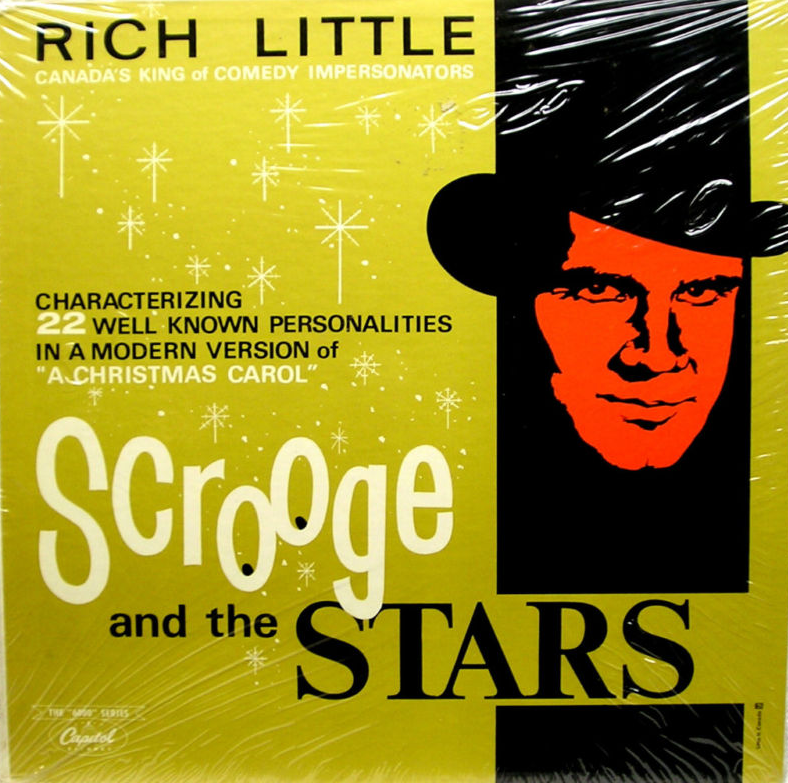 Rich Little: Juliette and Tommy Ambrose and Pick the Stars and Tabloid - Tommy Hunter and all of these. Rich Little: Oh, Jackie Gleason was great. Fabulous. Loved to do impressions himself. He said to me, "What do you want to do on my show?" It was the variety show he did on Miami Beach. I said, "Well, I've got this bottle routine I've been doing in my act." He said, "What's that?" I had little colored bottles of water and they had names of [celebrities] on them. If you mixed them together you could [swallow them] and make other voices. If you mixed James Mason and John Wayne then you could do Richard Burton - I can't remember. So you'd be mixing these bottles of colored water, drinking them, and becoming other people. He thought it was a terrific idea, but he said, "I'm not sure if that would be right for our show." I said, "Well, maybe not. 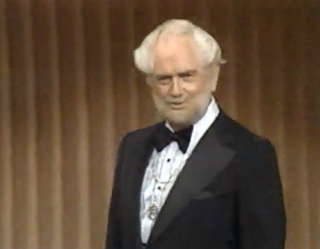 I just did it for Ed Sullivan and he thought it was the worst routine he had ever seen in his life." Gleason banged on the table, "Ed said that?" I said, "Yeah." Gleason said, "You're doing it on the show!" 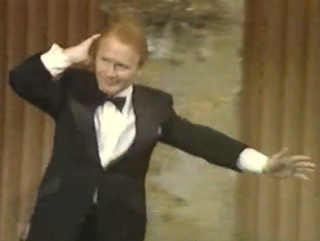 Then he made a point of saying it was the greatest routine (laughs) he had ever seen an impersonator do. 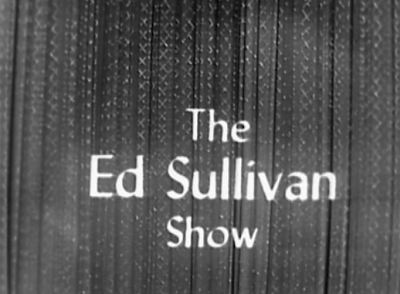 He hated Ed Sullivan! "What does that idiot know?" I can remember arriving in Miami and my bag came down the carousel and it came loose. It opened and all these little bottles of colored water were falling all over. They were all going around the carousel and people were saying, "I've got a John Wayne!" "I've got a Jimmy Stewart." 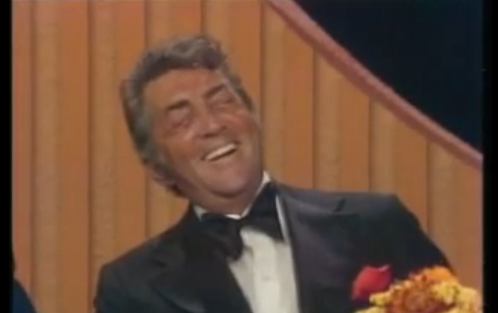 "I've got Carol Channing." They all thought they were specimens of stars and that I was a doctor. Rich Little: (laughs) But that was why Gleason loved it. Because Ed Sullivan hated it. 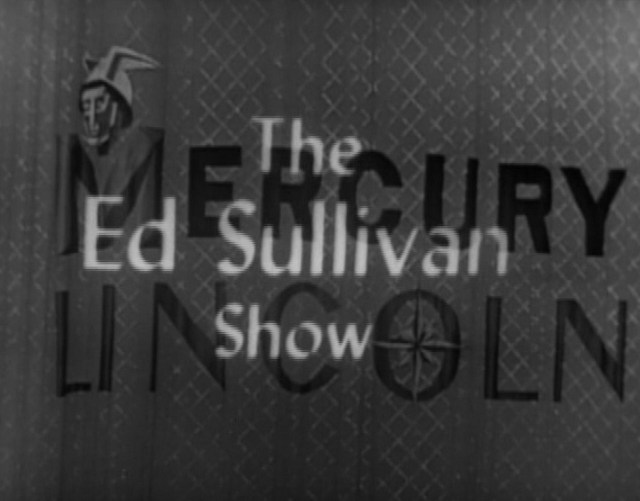 Kliph Nesteroff: What do you recall about your appearances on The Ed Sullivan Show? 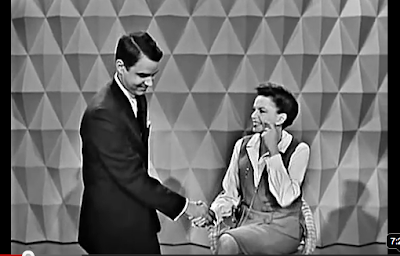 Rich Little: Oh, that was great. He always used to come over and say, "You have to take a minute out. We have too many acts on the show." I said, "Ed, I'm only doing four minutes!" "Well, you'll have to do three." He was always saying that. "You'll have to take twenty seconds out." One time he came to me when I was doing a three minute spot. He said, "You're going to have to take at least a minute out." I said, "A minute!? Then I've got two minutes! How can I possibly do anything in two minutes?" "Well... you could take the impressions out." 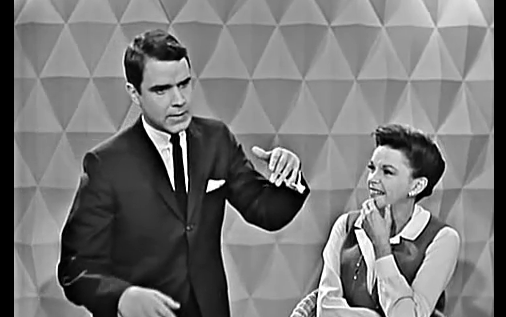 Rich Little: (laughs) So, anyway, Ed was funny. 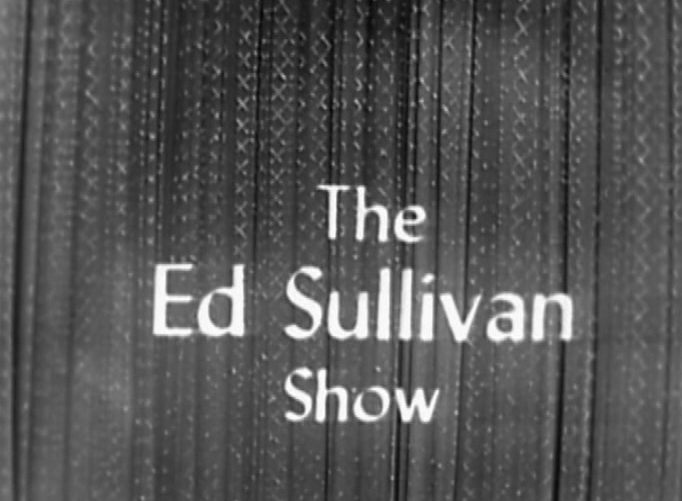 But I did a number of Ed Sullivan shows and they helped my career because everybody watched The Ed Sullivan Show, my God. Kliph Nesteroff: I was looking at the list of guests on one of the episodes you appeared. 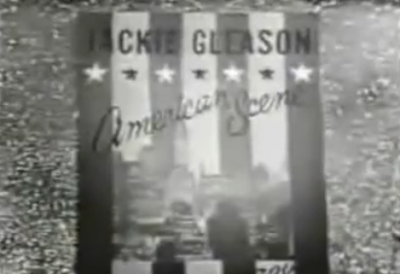 It had guests that included James Brown, Stan Freberg and Mrs. Miller - all on the same episode. Rich Little: Mrs. Miller, Right. Wow. Oh my God. 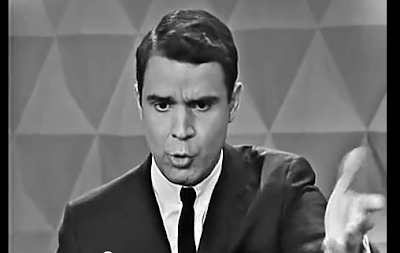 Rich Little: Mmm hmm, mmm hmm. Kliph Nesteroff: Did you establish a relationship with Henson at that time? Rich Little: Not really, no. I mean we said hello and talked, but not much. 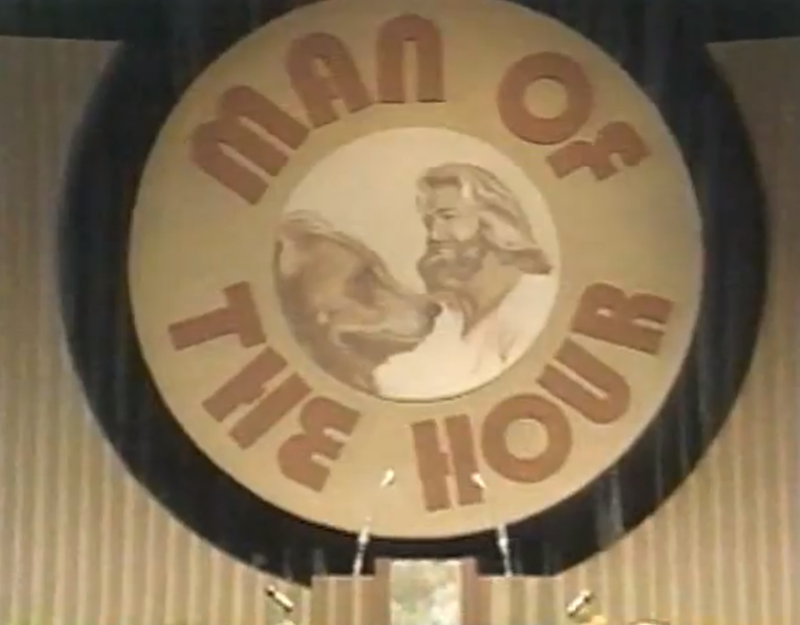 Later on that was a great coup for me - doing The Muppet Show. I had been doing a lot of television. I had been on TV almost every week. They just wanted to put me on the show and they booked me and I flew to England. 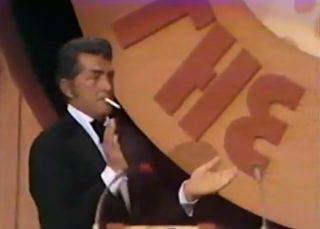 Rich Little: Oh, yes. 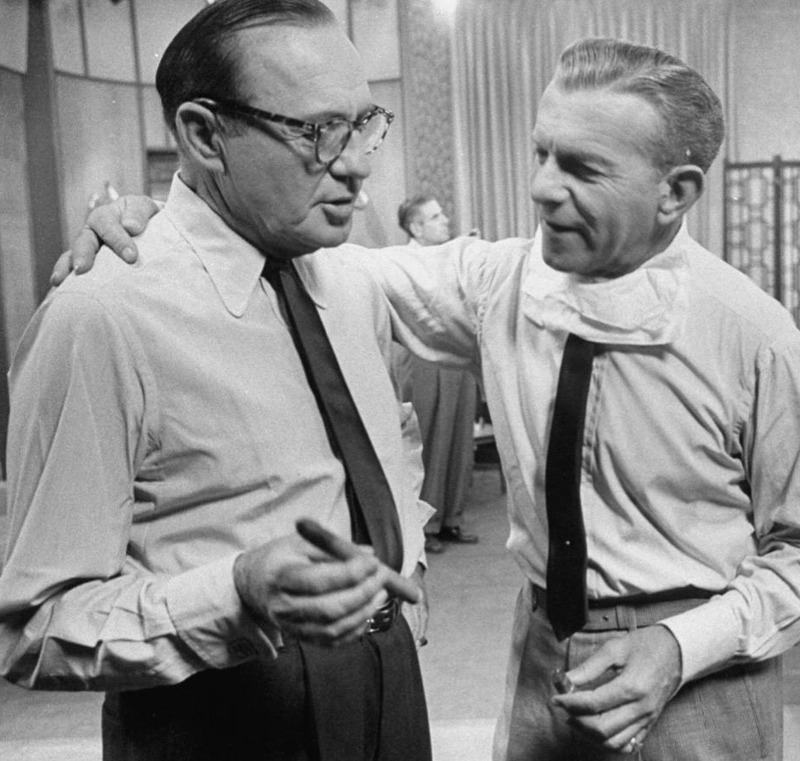 George and I did a double George Burns together. Yes, we did Burns together and I did a Jack Benny at him too. 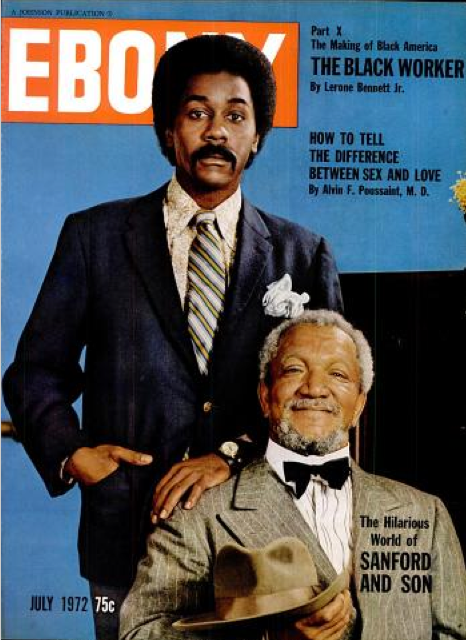 We worked a bit together on that show and it was wonderful. I got to know him pretty good and he was a wonderful guy. I loved George and Jack Benny. Jack used to always come see me perform. Whenever he was in town he always came. He loved my Spiro Agnew impression! Rich Little: Yeah, I did a parody of a Frank Sinatra song called Something Stupid. I wrote a thing about Lyndon Johnson and the things that he liked to do and then "Lady Bird went and spoiled it all by saying something stupid like... Vietnam." It was a play on the words of the song, not necessarily saying Vietnam was stupid so much as ruining his great day by bringing up his biggest problem. So it was a parody. But the word stupid - that's in the original song. The word stupid irritated this guy Frank Farrell. He interpreted it as meaning that I thought the war in Vietnam was stupid... which it was! (laughs). But he thought it was a slight against the soldiers who were dying over there and here was this Canadian calling the war in Vietnam stupid. He said it was un-American and I should go back to Canada. It only drew attention to my act. A lot of the wives and brothers and sisters of soldiers thought it was un-American and they started protesting. They were parading up and down in front of the Copa saying, "Have him thrown out of the country!" Most of them had never even heard me do the parody. It raised a hullabaloo, but it drew a lot of people to the Copa because they were curious. Reporters came to see me do this un-American bit. And I did - I didn't take it out of the act. In fact, I think I refused to. They all wrote, "What the hell is the big deal about this?" They couldn't understand what the big deal was and then went on to say, "Regardless, the war is kind of stupid." Like being in Iraq. That's stupid too, you know. Rich Little: So it was a big to-do about nothing, but I guess they got so many [angry] calls that the owner, Jules Podell, asked me to leave. I'm not sure whether I left or not. I certainly got booked back. Kliph Nesteroff: I believe for that engagement there was a mutual agreement and you got paid off for the rest of your run. Rich Little: Yeah, I did. That's right. Kliph Nesteroff: I read that you also had to hire a pair of bodyguards. 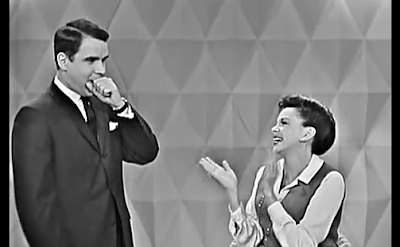 Rich Little: Oh, yes, well that was mostly for show. It made it look good, like I was going to get beat up (laughs). These big, beefy bodyguards, yeah. The whole thing looked like a publicity stunt... because it did not hurt my career at all.